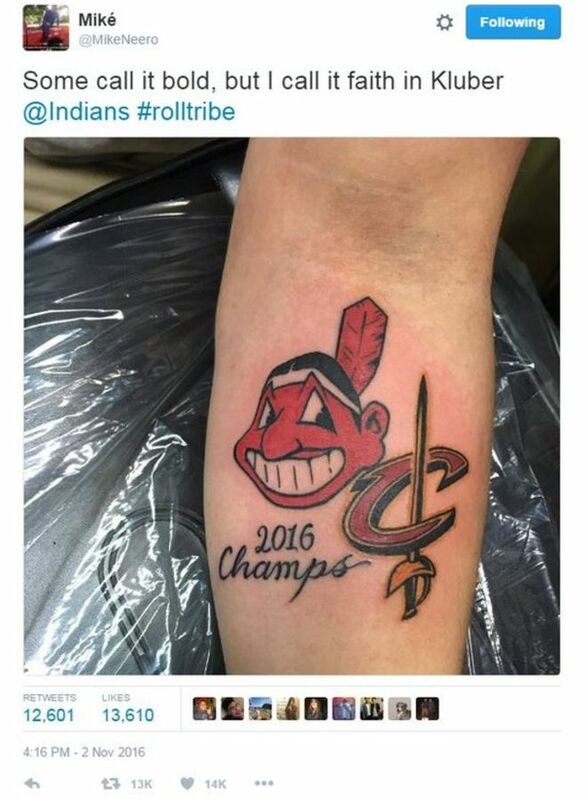 "Some call it bold, but I call it faith in [Indians star pitcher Corey] Kluber"
Somehow I seriously doubt that Mr Nero would consider laser tattoo removal of his Cleveland Indians World Series Champions tattoo. However, perhaps we could convince him to drop by and let us just laser off the last two digits of "2016". That would give him another 83 years to see his dreams come true. Drop by anytime Mike. We'll zap those two digits for free!